When I taught preschool, I always looked forward to April because of Poem in Your Pocket Day (April 30th) and the fact that the whole month is an excuse to read poetry with it being National Poetry Month. I’d drag out all of my childhood poetry books and I’d get my kids excited with verse after verse of my favorite poems and learning many new ones each year. So, naturally, I’ve been waiting to share more poetry with Ellie but didn’t think she was quite old enough to really delve into it. However, a couple months ago, Jeff asked me if I had Where The Sidewalk Ends by Shel Silverstein. He wanted to read Ellie a couple poems while she took a bath. I thought why not, and brought him my tattered copy. Well, she was hooked from her first poem. Every night since, she requests poems in the bath. This week, I requested several poetry books from the library to add to my small collection. We’ve been reading all week and even listening to some. 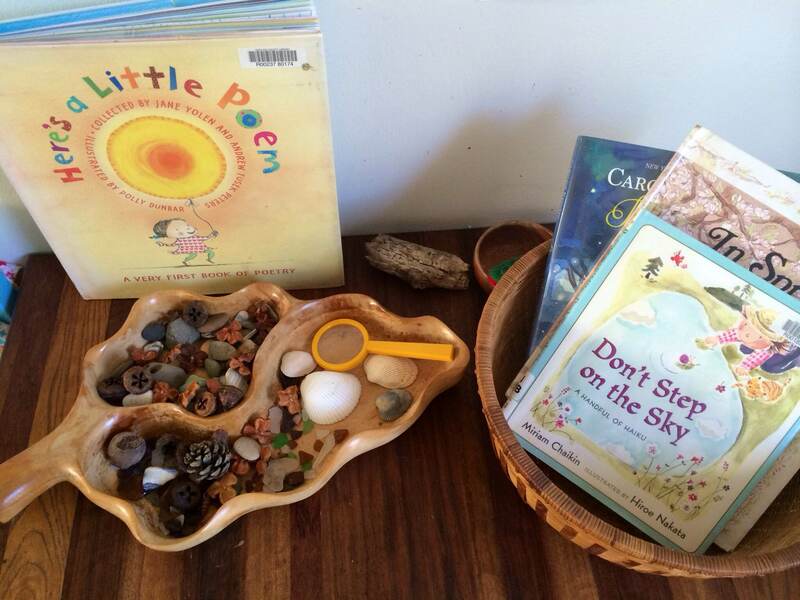 I’ve listed some of my favorite children’s collections of poetry here. If you have any to add to my list, please let me know. I’d love to add to our collection. (and I have to mention that Natalie Merchant has a fantastic c.d. , where she’s turned many old poems into beautiful songs. A favorite of ours here is The Adventures of Isabel). 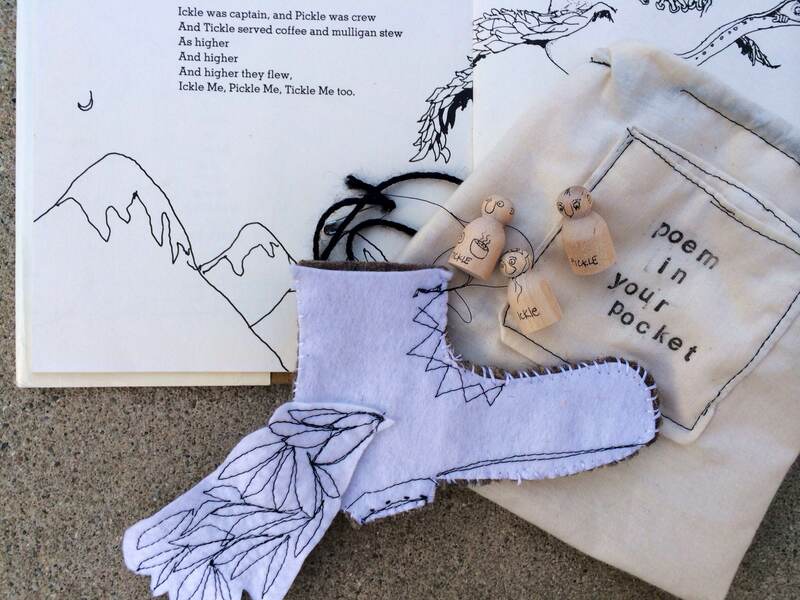 And for a special surprise today, I made Ellie a “Poem in Her Pocket” set of her favorite poem, Ickle Me, Pickle Me, Tickle Me too by Shel Silverstein. Happy Poetry reading to you friends!! 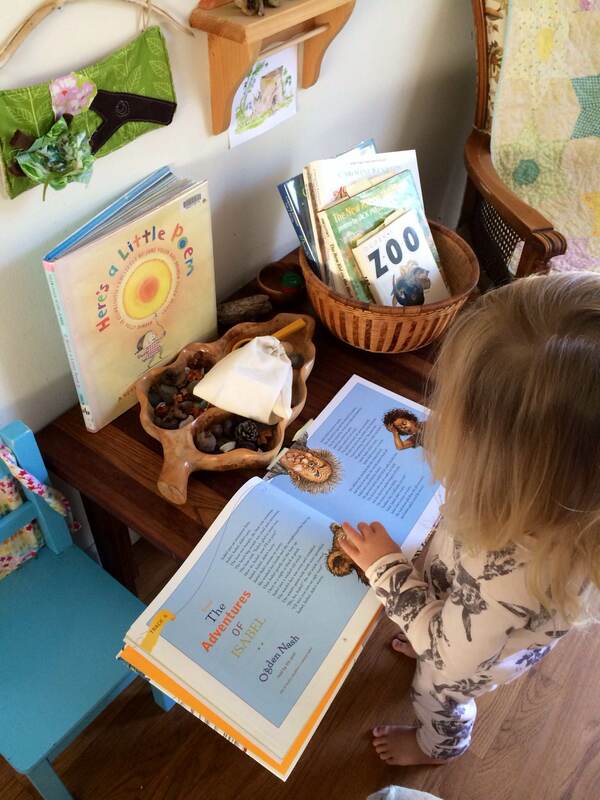 What a wonderful thing to do, introducing poetry into the lives of children at an early age. You make life so beautiful for Ellie, Summer, and I’m only sorry I did not bring this into my children’s lives when they were young. We must have spent more time at the beach. However, every one of them, all four, are avid readers and must have read every kids’ book there was in the library at one time or another. Thanks for teaching other young mothers to bring these lovely things into their children’s lives. That’s so funny Rachael, we just picked up a Douglas Florian book at the library! Nature Walk. We will have to look for Everything next time we are there. Thank you!! xoxo!